What kind of flower is your Mother? Flowers beguile us with their beauty. They also can be bewildering. If you’ve ever been overwhelmed by the countless possibilities of blooms and bouquets available for gift giving, it may help to match the petals to your mom. 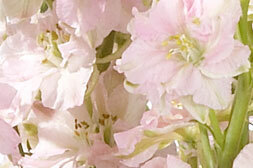 To help out, we present a guide to choosing the perfect flower for your Mother’s Day arrangement. Rose: The key word is classic. Her clothes are tailored, but sophisticated, with clean lines and simple details. She appreciates the finer things in life and has an eye for beauty; she’s also smart, diplomatic and fair-minded. 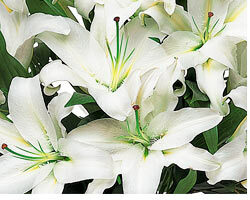 Lily: Look to a lily for joy and inspiration. She doesn’t sweat the small stuff; she’s got her mind on the big picture. High energy and hopeful by nature, family is priority No. 1. This natural multi-tasker is inclined to share her time and talent outside the home as well, knowing that fulfillment comes in many forms. 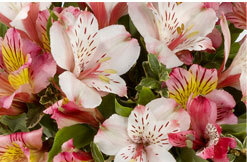 Alstroemeria: This ultra-feminine lady is graceful and refined. Poised and polite, she also has many passions, such as her fondness for surprises and surprising you - like the flower itself, whose leaves, surprisingly, grow upside down. 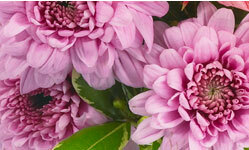 Chrysanthemum: Mums for Mom! She’s the most practical person you know. If a problem arises, she’ll solve it. Dependable, hard-working and cheerful, being with her brightens your day and brings you a smile. That’s because, no matter how much she takes on, she always has time for family and fun. 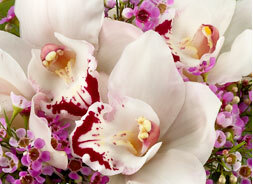 Orchid: She loves a challenge and a chance to use her imagination. Her quirky sense of humor never fails to amuse and she has a knack for commanding attention. A trendsetter, she chooses cutting-edge clothes and décor, and is never afraid to take a risk when it comes to style. Stock: Just as the stock flower lends its rich fragrance to a bouquet, the stock flower envelopes the people close to her with love and warmth. Kind as can be and the epitome of devotion, she still has a core of strength that sees her (and you!) through rough patches.